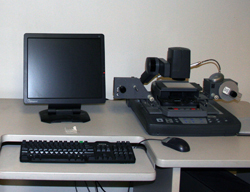 Services for the microform collections are provided by the Reference Department located on the first floor of the J.D. Williams Library. 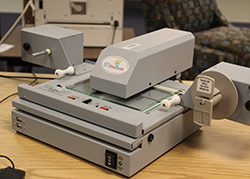 The library houses more than 2.6 million microforms, including microfiche, microfilm and microprint/microcards and provides equipment to view, print, and digitize all microformats. The newest machines can produce digital images in several formats, including PDF, to be downloaded or e-mailed. 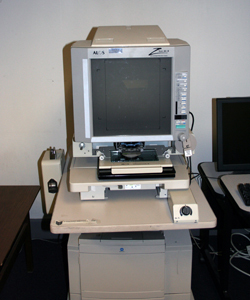 The microfilm machines are located on the first floor, adjacent to the Reference Desk. The microforms are located very close by. The staff at the reference desk are prepared to assist patrons in using this equipment. Printing costs $ .10 per page, while digitizing is free. Some machines are coin-operated (dimes), and others are card-swipe (Ole Miss Express) operated. For patrons needing change, there is a change machine near the Media Desk that converts dollars to dimes. Special arrangements can be made for patrons doing extensive cash printing to use by-pass mechanisms. The following is a list of the machines we currently have. 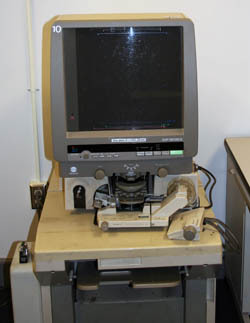 The best use for this machine is to digitize from microfilm and fiche. dimes only for cash printing. You can watch a video demonstration on how to use the ALOS. You can also view and/or download a pdf of the print instructions. You can watch a video demonstration on how to use the ST-200. You can also view and/or download a pdf of the print instructions. You can view and/or download a pdf of the print instructions. And print instructions are available on the machine. 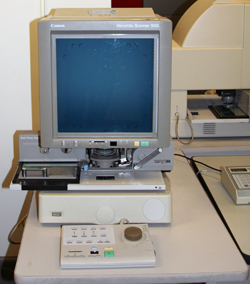 The best use for this machine is microfilm and microfiche reading and printing. You can watch a video demonstration on how to use the Minolta. You can also view and/or download a pdf of the print instructions. You can watch a video demonstration on how to use the Canon. You can also view and/or download a pdf of the print instructions.